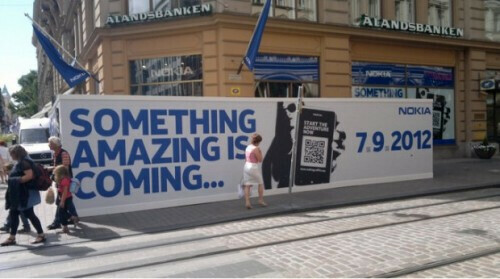 Earlier this month, we showed you a picture of a sign in front of the flagship Nokia Store in Helsinki that yelled out that Nokia was going to announce "Something Amazing" on September 7th (Hopefully you are aware how Europeans write dates in order of date,month, year and if you didn't know, now you do). 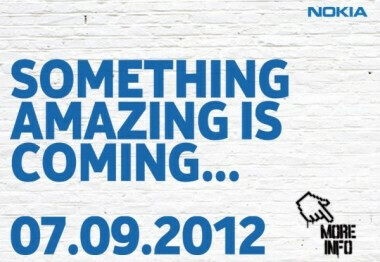 Other hints referred to amazing things at "your new Nokia Store," which. as you will see, is probably the most accurate clue Nokia gave. As you can imagine, speculation ran amok with talk of a Windows Phone 8 powered Nokia Lumia model being introduced September 7th, or that a Windows Phone flavored Nokia 808 PureView model was coming. 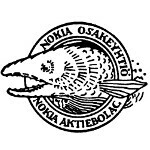 The September 7th date is the first day after Nokia World closes, so it would make sense for this all to be related to a major product announcement. The truth is far less exciting. All Things D says that the whole campaign is merely being done to promote the remodeling of a Nokia Store. This makes the comment about amazing things at "your new Nokia Store" a great example of foreshadowing. "(Hopefully you are aware how Europeans write dates in order of year, date and month, and if you didn't know, know you do)" uh, if it were today's date, it should be 28.7.2012. They don't put the year first. Like you couldn't tell by the banner, sheesh. And also, it is "now you do" not "know you do." Except 7.9.2012 can be viewed, in America, as July 9th, 2012.
why still we need post about nokia that the company cannot make changes as early samsung did. with rich of pattent and ideas in hand but hide at back. shame on you nokia when u as king need help from microsoft. look what google did, share the os and apps store. if you can did same to symbian(nokia store)apps to everyone maybe you will not down like this. share and care will make u on top of the world. still not late. in still using n8, at first this phone always indicate memory full, after belle update im not facing this issue. Joey18 can u tell me best design than n9, L800, L900. FYI date/month/year that's how rest of the world writes date. Just like the rest of the world uses metric system and A4 size paper. OMG! Nokia World is still more than a month away and I'm sure they would be revealing some of their plans by way of WP8 devices during the affair! The WP8 SDK is scheduled to be released anytime soon so I'm sure Nokia would already have some idea what they're going to do about the new OS' devices come Nokia World in September! So a store in one location in one city in Finland puts up a sign saying it's being closed for renovation and that something amazing will appear when it re-opens. Then someone takes a picture of the sign, and next, it is hyped beyond belief. Then the store owner says "wtf? We're just re-opening the store?" and the hypers say we should be disappointed? Eh? Had Nokia been putting up banners on their web pages, through their partners, putting out ads etc, then sure we would be disappointed if nothing appeared. Now we're just disappointed media is hyping something up without reason. This is just another example of a media-hyped article....kind of like Seinfeld....a show about nothing.